What does it take to put yourself and your livelihood on the line to see your dreams become a reality? Is it as scary as it sounds? Is the reward worth all the risk? 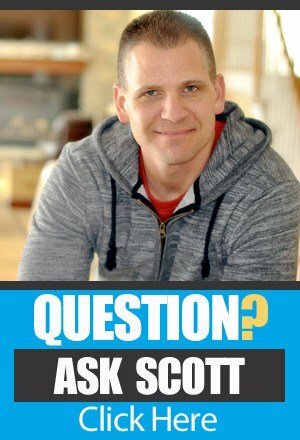 On this episode of The Amazing Seller, you’ll hear from Scott as he sits down with Kevin Sanderson. In their conversation, Kevin opens up about what led him to fire his boss, how that moment felt, why he is convinced that writing out goals is worthwhile, advice for sellers who are just getting started, and much more. Don’t miss a minute of this inspiring episode featuring Kevin’s story! If you want to make a change, write it down! Do you write out your goals and plans? Have you ever thought of an idea that you’d do whatever it would take to make it happen? Most people shuffle through a life filled with hopes and dreams, but many fail to act on them. If it were easy to accomplish your dreams, everyone would do it! Don’t make life harder than it already is, put yourself in a position to succeed. One of the best ways you can do this is by writing out your thoughts on paper. In today’s world that may sound “old school” but it works! Scott has been stressing the value of writing things down for quite some time and his guest, Kevin Sanderson agrees. Kevin points to this simple practice as giving him the fuel he needed to keep going while he built his ecommerce business. To hear more about Kevin’s story and how writing out his plans helped him succeed, make sure to listen to this episode of The Amazing Seller! From taking someone else’s marching orders to FREEDOM. While writing out your goals is a good first step, the hardest part is acting on them. How do you move from a place of security and comfort to a place of opportunity and risk? Kevin Sanderson struggled with a foot in each camp for a long time; he wanted the security of his day job and the opportunity of his ecommerce business. He was able to manage this tension for a while, but eventually, he had to pick a direction and give it his full effort and attention. Would he shrink back from the challenge or would he walk into the unknown? The freedom of living life on his terms was too much for Kevin to walk away from so he fired his boss and hadn’t looked back. Could you make a move as bold as Kevin’s? What is holding you back? Listen to this episode of The Amazing Seller as Kevin shares more insights that helped him take action; you don’t want to miss it! You need people in your corner who will support you. Who do you have in your corner cheering you on as you build your ecommerce business? While it would be nice to have a supportive coach who guides you every step of the way, that is not realistic. You can surround yourself with family members who encourage you, and you can join groups who will help you keep your eye on the prize. Kevin has been a TAS follower just like you, he attended workshops and learned from Scott’s helpful lessons over the years. All of the support and encouragement that Kevin received from the TAS community played a huge role in helping him get his business off of the ground. As much as you’d like it to be true, you can’t do it all alone. Make sure you have the right people in your corner! To hear more about this important topic, listen to this episode of The Amazing Seller! [1:35] How did Kevin end up firing his boss? [9:15] Kevin describes the moment he quit his job. [17:00] How did Kevin’s wife react to his decision? [19:30] Why it is so valuable to write out your plans and goals. [23:15] Kevin talks about attending a TAS workshop. [26:30] Kevin’s advice to sellers who are just getting started. [31:00] Why you need to check out Brand Accelerator Live. [37:15] Life is too short, don’t spend it all at work! [39:15] Closing thoughts from Kevin. …his third time I believe being on the podcast but this time we’ve got a little bit of a different story and we’re going to talk today about how Kevin fired his boss after three years of starting his business and we’re going to give you some details and some lessons learned and how to cope with some of these roller coaster feelings. Kevin, what is going on my friend? How does it feel sitting at your desk today? [00:00:38] Kevin: It feels good. It feels good. There’s no one watching over me wondering when I’m coming back from lunch or anything. [00:00:46] Scott: Yeah. That can be a drag but, yeah, I mean, okay, so first off, Kevin’s been a guest on the podcast a couple times. The first time, I have to dig up the episode. I’ll link that up in the show notes but the first time was really about how you took your referee money on the side and decided to use that as your starter money for your business. You worked to that and then the other time you were just on not that long ago we were talking about how you and I connected and you convinced me to put on an event called Brand Accelerator Live and now you’re organizing that whole thing. [00:01:23] Scott: So, but now we’re talking about how you recently and it is very recent that you fired your boss. So, tell us about that. How did this happen? [00:01:34] Kevin: Yeah. I just walked in there and I said, “I’m done.” No. It was definitely a much gentler process than that. So, leaving with a good relationship I wanted to make sure. [00:01:45] Scott: That’s always good. [00:01:46] Kevin: Not intending to go back so I wanted to leave a relationship but I do think it’s important to have relationships because you never know where your paths may cross for someone even if it’s just at a party. [00:02:00] Scott: Absolutely. I mean, you never want to burn bridges if you don’t have to. [00:02:05] Scott: I mean, I know when I left my job, I didn’t really burn a bridge but I knew that it would be very, very awkward going back there because I was kind of told that I wouldn’t make it on my own. You know what I mean, like it was kind of like, “Oh yeah, go out and try that. You’ll be back,” kind of a thing and I was like, “No, I won’t.” I’ll do anything I have to, to not have to come back. So, anyway, so let’s kind of dig into it. So, when did this happen in your head that you’re like, “You know what, this actually might happen?” Because when you first start, you’re kind of like hoping that you can just make a certain amount of money just to prove to yourself or your spouse that this thing can actually work. When did it become a target like when did you create a target in your own mind and start focusing on that? And I know everyone has their own number and all of that stuff. You don’t have to get into those details, but when did you have the, “I’m going to set the target. This is going to be the day. As long as I hit this, I’m going to do it?” Walk us through that. [00:03:06] Kevin: Yeah. Great question. So, thinking back to like the beginning it all starts off with I just want to get like a sale and then I want to get more sales then I want to launch more products. And it was really more just keep reinvesting, reinvesting, and just kind of see where this all goes and I didn’t have a true solid plan. It was like, “Well, this could be something that just keeps supplementing my income and my job,” and I was comfortable. I had a good paying job and I work for friends of mine and it was pretty secure and there is no reason to leave but just as time went on, I started seeing, “Okay. This keeps growing,” and I start seeing the snowball so to speak. It was getting bigger and I was getting to a point where I was hitting a ceiling, especially last year around this time. [00:05:06] Kevin: In the health insurance business where I was working was slower and so I negotiated going down from five days to four days a week during that summer period just kind of see how it went and thinking, “Okay. I’ve seen them make special arrangements with other people. They’re nice people.” They were okay with it in a sense like they granted me my wish, but they weren’t super excited about it. They could tell that it was going to be a little bit of a strain if I wanted to do that long term, so I figured, okay, eventually if I’m going to make a jump, I’m going to have to make the jump and just go all in. And I think a lot of people are in that position where they just have to go all in like going to their boss and asking for cut one day out of the week might not go over well at all. But luckily for me, they at least gave me that opportunity to hire a full-time assistant during that time period. She was really helpful that I really was seeing like, okay, I’m going to get to a point where I can’t grow this business, especially when you get to the holiday season and it’s really busy and the fourth quarter in insurance is really busy. So, those two were at odds so just got to a point where something was going to have to give. And people always ask me in the e-commerce world like, “Hey, when are you going to leave your job?” And to be honest, we were on a call, you and I, about Brand Accelerator and you just kind of jokingly said, “Kevin, when are you going to fire your boss?” And sometimes someone says the right thing to you at just the right moment and for me it was we’ll say it was the right moment and I said, “Okay. Let’s start thinking this through.” So, I started jotting down like, “Okay. What would it take?” So, rather than having like, okay, maybe in a year or two this kind of pie-in-the-sky not really concrete like deadlines I said I’m going to give myself a deadline. [00:07:14] Kevin: So, what would I need to do? I said, “Okay. The holiday season is coming up and if I know I have a good holiday season that I’m going to leave a job,” and I really focused a lot, especially as I was going back into working five days a week and really just making sure I was putting all my time and effort into how did I really focus on making the best out of the holiday selling period, getting more products, making sure all my listings are really maximized, making sure I got enough inventory because every year I think we all have inventory issues around the holidays, and I just told myself, “Okay. When I get to a certain point, I can see like this is going to work,” and I think I decided that in order to make it official, I was going to wait until right before Thanksgiving. Like, was I starting to see the increase in November that I usually see that really takes off after Thanksgiving and I had a good Black Friday, good Cyber Monday. So, right after that when I’m back in the office I said to my boss who’s a good friend of mine actually, “Hey, got a minute?” and I said, “Sure. Sure. Sure.” So, lo and behold, I basically told him that I got to a point where it wasn’t going to be fair for all parties involved for me to continue working there. I thanked him for the opportunity and I was truly grateful for working there and I let him know that my last day was going to be about five weeks later. [00:09:03] Scott: It’s scary. Okay. It is and how did it feel walking in that day, knowing that you were going to drop the bomb in a sense? Like, you’re going to say and did you ever think about not saying it that you second guess yourself? Like, take me in that moment for a minute though. I’m curious because I know how I felt and that’s going back over 20 years ago. I just am curious to hear like what thoughts were going through your head because you didn’t know what to expect or you thought you might know. We’re kind of good friends but what were you thinking? [00:09:40] Kevin: That’s a great question. I was thinking to myself like is this going to be the right idea. Part of it is like, “Yeah. This is going to be awesome.” And the other part is like, “Well, maybe I can negotiate like maybe going on three days a week. Maybe they won’t be happy about it,” and stuff like that and then it’s like so I’m walking in there I’m like, “Oh my God, how is this even going to be taken?” Is this going to be like, “You took advantage of us. If you knew you were to do this, why didn’t you tell us? I can’t believe you’re doing this. You’re so ungrateful.” That’s kind of what I was thinking in my head was going to happen. I was trying hard not to shake, I’ll be honest. I’m like looking him in the eye and this is their busy season so he was really busy and, of course, he would always make time for me to his credit. And it was just like, “I’m leaving,” and I told him, I said I was actually nervous telling you this and he said, “Don’t feel bad at all.” He’s like, “This is not at all what I was expecting you to tell me but I’m excited for you,” and, yeah, so that was nice to hear and they thanked me for the amount of time that I gave. And part of me thought they’re going to say like, “Just get out now. You know too much. You’re going to like steal our information,” which I have absolutely no desire to do and they knew that I wasn’t going to do that. [00:11:09] Scott: But isn’t this interesting though? Like, so think about this, okay, and I want people to take away something here, a lesson from this, okay, and the lesson that I’m getting from this is you are telling yourself all of these things that could potentially happen and it could’ve paralyzed you from not taking that action and getting to this moment and you had all these things, they’re going to do this, they’re going to say that, “Oh my gosh, what am I doing?” Like second-guessing, self-doubt, you’re telling stories to yourself that may happen but may not. And so, you worked up yourself in this little frenzy, this little shaking frenzy internally and they were okay. They were fine. Everything went well. And, you know, there still was a good four weeks of the holiday season left when I put in my notice, well, a little less than four weeks but the bulk of it was up ahead of me that I needed that to work and so there’s still that uncertainty but there was definitely relief. And I think some of it too was as I’ve talked about in at least one or possibly two in the other episodes I’m in but I was in here on The Amazing Seller was that from my previous job to that that brought me to insurance was I was working in a hotel how I have the knowledge base to plan an event and my position was downsized essentially. And so, I left there pretty much not by choice, and in this case, it was a relief saying, “Okay. This was by choice.” So, that was something really cool for me that was a little added bonus of it. [00:14:44] Kevin: And so, the fact that, as Mark Twain says, he’s worried about all kinds of things in his life, but most of them never happened. It was all these little worries like I was going to have a strained relationship, they’re all going to be mad at me. All the owners came to me and were like, “We wish you nothing but the best,” and they’re all happy for me. And I did what I could to try to tell as many other people directly one-on-one rather than just sending out a mass email and I was amazed too like people that like hardly talk to were like, “We’re going to miss you,” and it’s like sometimes when you work in there day-to-day you think like, “Oh, so many people don’t like me,” and you realize just everyone was just caught up in their own little world and we always don’t realize the impact we have on others until we’re about to leave. [00:15:41] Scott: Yeah. It’s awesome and I want to go back to you sent me a message. It was actually a Voxer message and you said, “Scott, I just wanted to give you a shout and let you know that I’m driving to my job that will be the last time I drive into work,” and that was an amazing feeling for me to just hear you say that because that’s a special moment, number one, but, number two, it’s scary but it’s special. You’ll never forget that. I even told you I said, “You need to record a message to yourself of how you feel right now,” and kind of remember this moment. [00:16:23] Scott: There you go. So, like those are special moments, but it also makes it real like you’re in and out. Now, I’m not saying you don’t have a safety net. You’ve got quite a bit of experience in the event planning. You’ve got a lot of experience in the insurance business. If you go out and get a job again, it’s not going to be hard. Do you want to? No. Could you? Yes. So, I always tell people like I wouldn’t hastily go out there and just quit your job and say, “I’m going to make this thing work,” like you have to prove it to yourself, prove it to other people in your life like your wife, your spouse, whatever. You have to prove that stuff so everybody’s on board. How is your wife with this? How was she? Was she a little nervous too or was she like, “No, this is the right thing. You got to do it?” What was her reaction? [00:18:03] Scott: Yeah. I know. [00:18:05] Kevin: But thankfully she was very supportive of it and I do think some of it was because she saw the passion and the enthusiasm I had and it was a job that I had that I liked but this is now getting into something that I really want to do and something that I’m more passionate about and something that I’m creating now, something from myself and for my family. [00:18:51] Kevin: Yeah. We affectionately referred to as Kevin Fires His Boss. [00:18:55] Scott: Operation Kevin Fires His Boss, and it was fun. You know, obviously, there was no like malicious type thing but it was just covered. This was the plan. This was what we were planning and you kind of went through all of your notes and these are the different revenue streams I see creating. These are the things I want to build. These are the things that I see now but I see things in the future. You don’t have to say exactly what that is, but how important it was for you to actually map it out on paper and actually see what you needed to execute to make it actually more real? [00:19:29] Kevin: Great question. I was actually just thinking about this. It’s really hit me harder more and more lately of how important it is to write everything down that you want to do because otherwise, it’s just a dream, a wish in our head if we don’t write it down and I’m starting to see more and more like the power of like writing stuff down that it’s easy to get caught up in the day-to-day of feeling like not much progress is being made. But when you go back to your earlier notes and look at what you write, it’s like, oh my gosh, like some of the goals I had for last year were almost to the penny of what I ended up doing sales-wise. It’s crazy. And then looking back at some of my old notes, oh, so when I moved into my – I’m running an office room from a buddy of mine just to give myself the structure of going into someplace every day. And I was paranoid of all these like notes I had written down so I was like, you know what, I haven’t gone through all these notes in a while and looking at some of these old notes and I found these notecards that I have written down things like outcomes that I wanted to achieve. One of them was sell or first sale on Amazon and ongoing profitable sales and it’s like, “Okay. I choose that,” and then like looking at some other things that I did along the way. It’s like that pretty much happened and like I created a vision board in Evernote and eventually I moved it to OneNote but anyway, I was looking in OneNote, and a lot of the things I put in my vision board have come to fruition. So, I’m starting to realize more and more how important it is to write these things down. So, one, at least organize my thoughts and, two, I do think there is something that makes it more real when we write it down. [00:21:34] Scott: Yeah. It makes it more real. Here’s one tip I got for you. You said you hit those numbers almost to the penny. [00:21:40] Scott: You know what my tip is, right? [00:21:42] Kevin: I should’ve gone higher. [00:21:45] Scott: You made it. You never should hit that. You should always come a little shy. So, next year let’s push those a little bit. We always tend to go exactly where we think we can, “Oh, I’ll do there because I think that’s possible.” Let’s go to the, “I don’t know if that’s really possible but I’m going to try my hardest to make that.” And that goes not just for money. It just was for anything like we want to I always tell people like even my daughter like she’s in volleyball. She’s 11 years old, she played against 13-year-olds the other day. Well, 13-year-olds are pretty good. She plays a little bit higher at her level but if she played with a ten-year-old, she might have played a little bit down to their level. It’s one of those things that we rise to the occasion. We look at them like, holy crap, deadlines. The same thing. If you put a deadline, you’ll get to it. You’ll execute it because it’s on paper. It’s marked down. Every day, every night I always write down the two or three big things that I need to get done the next day. Nothing else gets in their way. That has to get done before I do anything else and that’s worked really well for me. Sometimes it’s stressful because I’m like, “Holy crap, I wrote it down. I got to get it done,” but I get it done and it’s just the way it works. Take me back though, 2015, you shared in the TAS Facebook group and you shared it with me that you wrote down that you were attending The Amazing Seller workshop in a hotel room in Charlotte by the way because you were stranded at the Charlotte airport. Is that right? [00:23:15] Scott: Okay. Tell me that story. [00:23:17] Kevin: So, when we were at the inner circle which is in Charlotte so when I first launched early 2016 in the wintertime I was at a layover in Charlotte and I was literally probably like a week earlier got my first sale in my first product and I was writing down like a bunch of notes in this notebook and I brought this notebook with you to Charlotte thinking like, “Well, if I get stuck in the airport again, at least we revert back to the notes I had from Charlotte.” Well, I was flipping back a few pages before that and I wasn’t expecting this. I found the notes from when I was attending The Amazing Seller Workshop in July of 2015 and in talking to you and Chris, this would’ve been like the third one you guys did and I wrote down the system that you guys laid out and it was like, wow, I followed all this but it was crazy to see that full-circle, the whole thing about writing stuff down that it becomes more real that here, I brought this random older notebook that was like three years old at the time for a different purpose and happen to find it in my notes from that workshop. [00:24:47] Scott: That was crazy. [00:24:48] Kevin: Yeah, I was like, “Whoa, this is really weird, guys.” It’s all coming full-circle. [00:25:43] Kevin: Well, yeah, if you want shade, plant a tree 20 years ago. [00:25:46] Scott: Yes, that’s it. [00:25:47] Kevin: The second best time is now. [00:25:49] Scott: Yeah. The second best time is now. Plant the tree. It’ll be growing and it’s one of those things that we always get caught up, “Oh, I missed the boat. Oh, he’s lucky.” No, Kevin’s not lucky. Kevin went out there and took action as I say and the effect of that is what we’re looking at right now. Now, was it easy? No. There were ups and downs and there’s going to be more. I told you that too. I told you. I said, listen, get ready because you’re going to be on a roller coaster ride. It’s the way it is. So, what kind of advice would you give someone right now whether they’re just starting or whether they’re wondering if they’re ever going to be able to have the lifestyle that they want by not even just money, forget about the money, but the lifestyle, freedom, and obviously the money, depending on everybody’s situation is different. One person might need to make 50,000 a year. One person might need to make one 150 a year. It doesn’t matter but what would you tell that person that’s like, “I want that freedom. I want to be able to be…” like you’ve got kids. You got young kids. You got a wife like you want to spend time with them. What would you tell that person? Like, right now they might be self-doubting themselves. [00:26:53] Kevin: Great question. So, today in my notes that I leave for myself, each day I write a quote and I wrote, “A journey of a thousand miles begins with a single step.” Now, I think that’s perfect for what it says here and so that journey is always going to be a thousand miles in front of you. So, it doesn’t matter where you are but it’s always the next step is the next step that you can take and worrying about like, did I miss the boat? Is it too late? Well, guess what, in five years from now someone else is going to start the business that you wanted to start and they’re going to do well at it. And in 2015 when I started researching this, there was lots of debate, is it too late? Is it too late? Well, no. Since then, Toys “R” Us is closed. Sears is hanging by a string. There’s all kinds of other retail stores have closed. It’s more and more the world is moving online. And so, I don’t think that ship has sailed. I think it’s still at the dock and the time to get it in is now if that’s the direction that somebody wants to go. The world around us is going to constantly change and there’s constantly going to be opportunities. So, if it does end up in two years and someone is watching this video or listen to this podcast and they decide, “I want to do this,” but for a reason, Amazon is not the right thing. Anytime there’s change, there’s going to be opportunity. So, if you look at it, it is how can I make this work and how it may take two or three years, you can make it work. If you say it’s not going to work, you’re going to be right. [00:28:42] Scott: Exactly. Exactly. Yeah and, I mean, the vision board like you talked about, I’ve done them and I believe in them and I don’t believe in them at the point of, “Oh, I put on the board that I want a Lamborghini or I want a yacht,” and then all of a sudden, I sit back in my chair and it happens. No. What it is it’s reminding you what you’re doing what you’re doing and why you’re doing it. So, if you have up there, I know I’m one of mine. It was to go on a Disney Cruise which I know you’re going to be doing something similar here, but I was going to go on a Disney Cruise. I had that on my vision board and I had that I wanted to be able to have lunch with my wife every day and I wanted to be able to spend time with my kids. I had pictures of that stuff and then I look back I’m like, “Holy crap, like that stuff’s happening. Now, it didn’t happen because I just looked at the board. It happened because it motivated me to show up every day and to keep trying and keep taking those swings and figuring it out.” Everything is evolved and like you said, Kevin. Like, I just had a buddy of mine with a podcast and he’s like, “My podcast just got deindexed. I heard that yours did too. What did you do to get it fixed?” And I said, “Well, they had a little glitch in it that you had to put your author box.” You had to do this thing, right? I’m like that’s iTunes. That’s a whole another channel. They’re going to have their ways. We got to fix it. We got to figure it. We got to have questions. So, it’s always evolving and to me, Amazon is a channel. It’s a great channel, but also, I do know the risk in writing on one channel so that’s why we want to do other things. We want to build outside traffic. We want to do a brand. We want to do all those things that we’ve been talking about because we can’t just bank on that one thing and I know that that’s what your focus is as well. 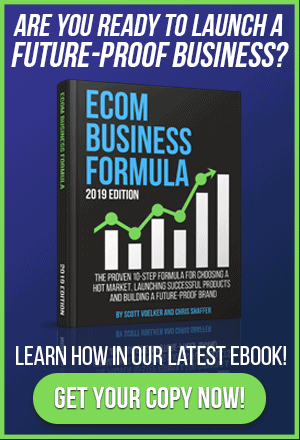 And people in my inner circle seven-figure sellers on Amazon were looking to build those external, those external channels to help strengthen the brand and make it a future proof brand. So, with that all being said, Kevin, this has been awesome. You finally made the podcast to announce officially you executed the mission. [00:30:45] Kevin: I have executed the operation. Kevin Fires His Boss has been executed upon. It is now complete. [00:30:53] Scott: Yeah. So, just to let everybody know, you are going to be at Brand Accelerator Live. [00:30:58] Scott: And you will be also speaking so we’re going to have Kevin go through we won’t say exactly what you’re going to be talking about but we’re going to have Kevin up there to share his expertise, his lessons learned, and he will be there. He’ll also be there helping keep the ship running where it’s supposed to be going. So, guys, if you’re interested in attending Brand Accelerator Live you need to go grab a ticket at BrandAcceleratorLive.com or you can go to TheAmazingSeller.com/Live. It’ll take you to the same place, go grab your ticket. We still have tickets available. It’s going to be awesome. We have some speakers that I haven’t announced yet which is kind of a surprise, one of my mentors, and someone that’s helped me get to seven figures which is pretty awesome and, yeah, it’s going to be great. Shhh. Don’t tell anybody anymore, but, yeah, guys it’s going to be awesome. It is a TAS event so I’m really looking to bring the community together. It’s going to be a smaller event. It’s not going to be one of 3,000 people. It will be small under 300. Three hundred would be max and, yeah, we’re going to have a great time, great people like Kevin there, and being able to network and just be able to hang out with other people that are like-minded. How important it is to be around like-minded people, Kevin? And it’s not like you’re trying to research what did they mean when they said this and you’re looking at the show notes or something like that. You’re having a one-on-one conversation. I mean, you just can’t beat that and then oftentimes these other people that you meet at the events, they become your friends. They become your accountability partners. I mean, there’s a whole bunch of people that when I put in my notice, there are a lot of the first people I told, people from the industry that I know from going to live events. So, I can’t stress the importance of if leaving your job operation, fill in your name, fires his or her boss. [00:34:10] Scott: We need a template for that. [00:34:11] Kevin: Right. We should. You know, hashtag or something. And then but if that is your goal, go to an event. It’s one thing if you’re in forums and you’re active and you know people there, that’s great. It’s another thing if you’ve met people and you’ve talked to them over the phone that’s great but when you’re actually in front of someone, you know, sharing a drink, breaking bread, sitting down next to each other at a session learning about something and you can talk about what you just learned, there is magic in that. Now, I don’t use that word lightly. [00:34:48] Scott: No. You’re right. I mean, again, I have attended quite a few events but not as many as some people but I hand select the ones that I feel are going to be the best ones and it generally is the smaller ones to be quite honest with you. I feel like I have more chance of really meeting people versus just being in the sea of people, but that’s just me. I like that intimate setting and I know at Sellers Summit give a shout out to Steve Chu, a good friend of mine, done a great job, him and Tony Anderson, done a great job. They’ll both be there as well. Great people and it’s hard a lot of times in our community, not just our community, but any community to find people that you know, like, and trust. And I think I’ve done a pretty good job, not to pat myself on the back, but a pretty good job of keeping myself straight and narrow with the people that I want to be associated within this space. Because we all know there are people out there that they don’t have your best intentions and they aren’t doing the same type of business style. They’re just trying to money grab and that’s not what we’re about. We’re about building businesses that can help free ourselves from our jobs, or just make our life better so we can travel, we can see our family, we can spend more time doing what we want to do. I mean, life is so short. Kevin, how many weeks of vacation did you have, did you earn at your job? [00:36:08] Kevin: Oh yeah, so let’s see. When I started there, I had like 13 days, just like two-and-a-half weeks. [00:36:18] Scott: Was that counting sick time and everything? [00:36:20] Kevin: Oh yeah. That was hybrid. [00:36:22] Scott: Okay. That was a hybrid. [00:36:23] Kevin: Day time off. It was everything. [00:36:24] Scott: Okay. So, 13 days. [00:36:26] Kevin: Yeah. So, it’s like if I wanted so I’m going in a cruise starting next week and if I had still been at the job that would’ve eaten up a lot of my vacation time and if I had been sick, I’d be SOL. [00:36:43] Scott: Yeah. So, okay so I guess kind of going back to my point was we work all year long to try to earn another week’s vacation. I remember when I worked for my father it was like I got one week and I got like five personal days, use them however you wanted to. So, you can kind of say it was two weeks. But then after five years, I got an extra week. [00:37:10] Scott: So, I had to wait four years before I could get any more vacation. So, again, to me, life is too short. I lost my mother when she was 50. I’ve lost other people in my life so I’m kind of like, you know, I understand the importance of time and I appreciate every single day and I just don’t want to waste it on, again, if you’re doing a job that you really believe in and you love and that you just like you want to work 40 to 50 hours a week and you don’t have a family then go for it. But for me, it was all about the freedom and being able to raise my kids and be with them. I know the same is for you and a lot of people listening. So, again, guys, get a little off track here, but it’s kind of a really important thing for me, but the event stuff. Definitely, definitely get to an event whether it’s mine or someone else’s, go to an event, meet people, like-minded people and like I said, there’s a lot of times that you’re going to just pick just one nugget or one contact, one person that you’re like, “Oh wow, you do that? Yeah, you do,” and then you have this connection and then that opens up this whole thing. Look, you came to Steve Chu’s event. You and I met. You said you’re a listener. We met. We hit it off. We had a good time and I liked your referee story, how you made refereeing to pay for your private label business, and then you came again to another event. I had a meetup. You were there and we got talking and then you’re like, “You know, you should do an event.” I’ve done events and here we are. It’s how things happen. So again, I can keep going on this but we got to wrap this up. So, Kevin, any last words that you want to give anybody listening right now? I know you’re excited because you are fresh and also you left your job a day before your birthday, right? [00:38:46] Kevin: Oh, yes, yes. [00:38:47] Scott: That was pretty cool. [00:38:48] Kevin: That was pretty much unplanned but my birthday was the day after I left my job. I just basically made it like the last full week of the year and it just so happened that was on a Friday and then my birthday was on a Saturday. So, my birthday is now kind of my re-birthday. [00:39:07] Scott: Yeah. That’s awesome. I love that. I love that. So, any last little bits of advice for anyone right now that is kind of in the grind? [00:39:17] Kevin: Yes, absolutely. So, I’ve had a lot of people that I’ve posted that I left my job or whatnot, people that I’ve shared it with it that I know personally and a lot of people are saying like, “Wow. How did you do that?” and I would say the biggest thing is just keep setting small goals along the way. Don’t try to eat the whole elephant so to speak. You just each bite, each step in front of you, whatever it is, keep setting those goals and just have a vision off if leaving your job to do this full time or whatever it is, you can do it. Sometimes it just takes a little time to focus on asking yourself the question “how” and not give yourself justification of why it won’t work. The why it won’t work will jump into your head. If you keep saying, okay, well then how do I overcome that or how do I make it work anyway? You will find a way. You are stronger than you realize you can do this if this is what you want to do. [00:40:27] Scott: Love it. Hey, you’ve got a YouTube channel too that you’ve been documenting part of your story there. Where can people find you on YouTube? [00:40:35] Kevin: On YouTube, it is Maximizing E-Commerce if they go to YouTube.com/MaximizingECommerce. Just leave me a comment. I try to respond to everybody. [00:40:47] Scott: Yeah. We’re going to dig into a little bit more of your expertise because you are somewhat of an international seller guy that could give us some help and I know you’re personally helping us in a brand that we’re partnered with but, yeah, definitely going to have you back on and discuss some of those points and maybe get you to kind of walk through that process because I know it’s a scary process for a lot of people. And you’ve kind of done a pretty good job at laying that stuff out and you’re a good systems guy anyway. You’ve got that down I could tell by all the event planning and everything you’ve done for The Amazing Seller. I’m like that’s why I got you, Kev, because that’s not my strong suit, but, yeah, go check them out. I’ll go ahead and link everything up in the show notes but Brand Accelerator Live, guys. Head over, grab your ticket if you haven’t done so already, depending on when you’re listening to this or could be early bird pricing still in effect, we are about 25% sold out right now of the tickets that we’re going to have available. Definitely come hang out with us. People like Kevin you know like I said, Chris Schaffer will be there. Joel, my team will be there. A lot of great people will be there. Greg Mercer will be there. I haven’t even announced him yet but, yes, Greg is going to be there as well and a few other of my buddies. So, anyway, that’s it. [00:41:57] Kevin: Steve Chu. Tony. [00:41:58] Scott: Yes, Steve Chu will be there. Tony. But, anyway, so that is going to wrap up this episode. I think what I’m going to do here is I’m going to have you close it out with me, Kev. Does that sound good? [00:42:07] Kevin: All right. Let’s do it. [00:42:07] Scott: We’re going to do it. All right, guys. The show notes to this episode can be found at TheAmazingSeller.com/623, go grab those show notes and remember, as always guys, I’m here for you, I believe in you, and I am rooting for you, but you have to, you have to, come on, say it with me, say it loud, say it proud, Kevin is going to say it with me on the count of three. One, two, three. Take action! [00:42:34] Scott: Have an awesome amazing day! And I’ll see you right back here on the next episode.